Control Automation Technologies Corporation (CATLab) has announced the expansion of its Virginia Laboratory as it plans to double the size of its existing facilities in New Kent County, VA.The expansion will include offices, laboratories, and a logistics warehouse to accommodate its growing customer base as well as new equipment, services and employees. Control Automation Technologies Corporation (CATC) has announced the expansion of its Virginia Laboratory as it plans to double the size of its existing facilities in New Kent County, VA.The expansion will include offices, laboratories, and a logistics warehouse to accommodate its growing customer base as well as new equipment, services and employees. Founded in 1989, CATC expanded its North Carolina based laboratory division, CATLab – Accredited Calibration Laboratories, to Charles City County in 2005 before moving to New Kent in 2008. Since, its combined calibration business in both states has grown by over 300%. 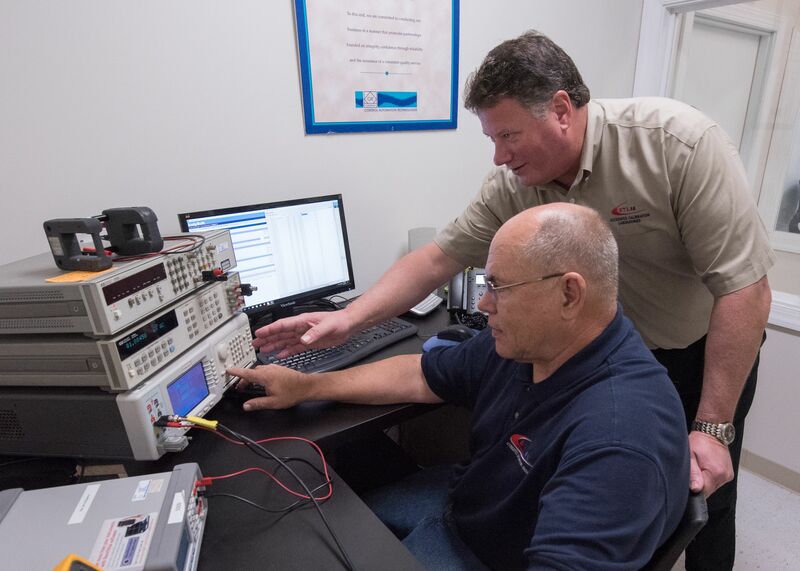 CATLab provides calibration services for precision test equipment and sensors to over 500 companies, agencies, and organizations throughout the U.S. and abroad. While the majority of its customers are manufacturers, much of its recent growth has been in Life Science and Defense related industries in Virginia and the Research Triangle area of North Carolina. CATLab is accredited to ISO/IEC 17025 through the American Association for Laboratory Accreditation (A2LA) and is recognized by the International Laboratory Accreditation Cooperation and other multilateral organizations for its competence in testing and calibration services. Testing disciplines include electrical, mechanical, frequency, mass, and thermodynamics among others. Its services assist clients in adhering to quality, safety, and regulatory mandates. “Our company has been fortunate to experience steady growth in the last decade despite a sluggish economy. With the recent economic boom, expansion was inevitable”, said Mike Watson, the company’s founder and CEO. Watson also touted regulation and tax reform as key catalysts for its decision to expand now. The company evaluated several options before choosing the New Kent expansion including adding to its NC laboratory in Winston-Salem’s Biomedical Research & Technology Center, construction of a new facility in Research Triangle Park, and purchasing a larger facility in Richmond. “Ultimately it came down to the pro-business mindset of New Kent County and the great relationships we’ve established in our business community”, said Watson. “Also, New Kent is convenient for our Richmond area and Coastal Virginia customers and offers a central point for supporting growth in the Northeast and the Research Triangle”. CATLab will close on the property in the New Kent Business Center on August 14th. with construction getting underway immediately.The date coincides exactly with the start of its 30th year in business. It often employs veterans for technical positions and has already hired a Logistics Specialist for the new facility. Additional Life Science focused testing standards, services, and positions are planned for 2019.